There are some flowers that will always a place among the top ranks for sales. Roses for example can be considered the diamond of flowers. They are a symbol for love, romance, and friendship and considered among the top gifts for suitors to give. But what makes the rose a best selling flower? What other flowers are popular? What makes them popular? The following is a look at the answers to these questions. When trying to decide what crop to select as a grower, or what to sell as a florist, it is important to choose flowers that will be both easier to move and prove a more steady source of income than the rest of the stock. There are thousands of species of roses and they come in all manner of colours and sizes. No matter its size or shape, they have always held the attention of mankind. Each culture has a unique belief as to what the flower represents, or how it should be used. Yet no matter the difference in what they stand for, they are universally recognized because they hold a place in the world. Weddings, funerals, celebrations, congratulations, and any event of note seems to be a time when flowers are desired or presented. Rose, and all other flowers, have the ability to capture the fancy of mankind. When it comes to those unique or easily grown in Australia, it is their uniqueness that makes them the most desirable. Most flowers have a very limited lifespan once they have been cut from the stem. Certain species of orchids however, can last weeks with proper care. It is this unique trait that makes them valuable as a cut flower. Combined with their vast array of beautiful colours and patterns, orchids are one of Australia’s prime crops for the cut flower industry. There are several species that are popular in Australia, including Crucifix Orchids, Cold Growing Orchids, and Cymbidiums. There is no other flower like orchids in terms of their look and growing specifics. Most of the tropical plants grown in the Australian cut flower industry come from Rainforests. In their native habitats, they have adapted to survive in harsh conditions, to grow dormant and wait for the right settings, and to thrive when they are presented. Growing tropical plants in Australia is extremely easy. It takes a bit of soil preparation to ensure its been loosened deep enough for the plants to get a good root, but once they do, they thrive in ways unlike their native habitats. In the Rainforest, plants have a hard struggle to grow from the ground, largely because the canopy above makes it difficult to get the sunlight they need. In Australia, the sun is not obscured, so when given the right soil they will flourish with just a bit of common care. Also unlike their distant relative, they will grow thicker and produce more foliage and flowers. Calatheias and Heliconia Psittacorum are two examples of exotic and popular flowers in the Australian cut flower industry. Out of the flowers grown in Australia, one of the most interesting variety are the gingers. The Darwin Collection, that include the Darwin Dawn, Desire, Dolly, Lady, and Sunset is a collection of peach to dark pink Alpinia Gingers. It along with the many varieties of Curcuma gingers are an important part of the cut flower industry. The thick and uniquely textured blooms have an array of pleasing scents that make them popular for both their pleasing visual and olfactory stimulation. 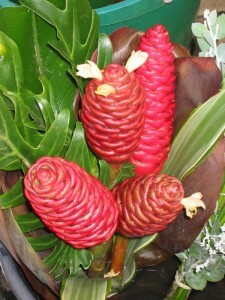 Zingibers are marvelously unique flowers that were collected from Hawaii and have been cultivated in Australia. These curious flowers resemble wax pine cones and are available in golden and apricot colours. They are extremely popular for both cut flower arrangements and home gardens. Their unusual appearance and vivid colours certainly make for conversation wherever they are spotted. This in turn makes them rather desirable and another asset to the Australian cut flower market. In particular, ginger Darzings offer a colour selection of their most desired traits. Kangaroo Paw: There some select natives and transplants to the continent that have become popular in the cut flower industry. 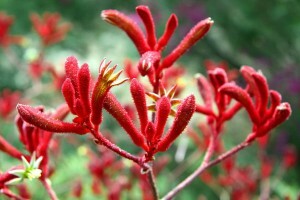 Kangaroo paw is a vivid and unique wildflower that has significant demand as a export for the country. Major countries that have a demand for the Australian native are Europe, Japan, and USA. 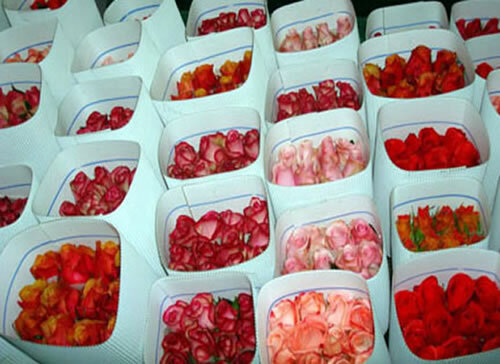 It is relatively easy and abundant for cut flower growers as a basic crop. Baby’s Breath: Seen in just about every wedding arrangement, Baby’s Breath or Gypsophila paniculata, is another native plant that can be considered an extremely popular crop for the cut flower industry. While not as big and impressive as other flowers, the delicate blooms are almost a standard in many bouquets and arrangements. The mix of green with speckles of white make them a wonderful compliment and filler for floral décors. Geraldton Wax: With over 400 uniquely named hybrids and 20 different classes, the Geraldton Wax family of native flowers is by far the most diverse Australian wildflower in the cut flower industry. Both the colourful flowers and richly vibrant stems are sought after by Australian florists for use in floral arrangements and bouquets. Not surprisingly, among the top flowers and foliage for export is Eucalyptus. 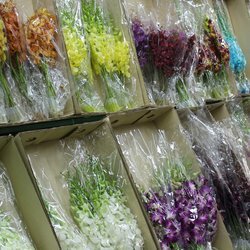 Falling under the cut flower industry, it has demands for both practical and decorative use. The increasing demand for essential oils and homoeopathic medicines has made the export of this tasty koala treat make the top ten, if not top five exports. Where the Eucalyptus goes, the Koala Fern is sure to follow. According to the Australia government reports, Koala Fern is also another on the top ten cut flower exports. These fuzzy and long stem plants last for quite a while after being cut and make for exceptionally unique and beautiful arrangements. These evergreen shrubs have 40 different species and are another native to that is rather popular for exporting. These beautiful bushes grow around a meter high and wide, produce lovely blooms, and are resilient. Having developed in the harsh Australian environment, they are a unique floral treasure that also makes the top list of exports for the cut flower industry, for both decoration and for transplanting. Native to the southern areas of the continent, Stirlingia grow from a perennial tap root or stock. They reach as high as 1.5 meters and have unique blooms that are fairly desirable. There are seven species of them and they also make for a major exporting crop. 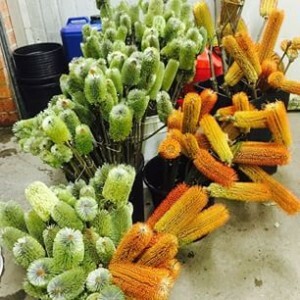 While not as resilient or diverse in terms of where they can grow, Banksia is another of the top ten exported cut and transplanted flowers. With 173 different species that grow in almost all the coastal areas. The unique flowers grow in heads with that hundreds or thousands of tiny red to yellow flowers. Their absolutely exotic and unique appearance account for their popularity as an export. Though some species are considered endangered, conservation groups have helped increased interest, which has also contributed to their popularity for local and global floral enthusiasts.